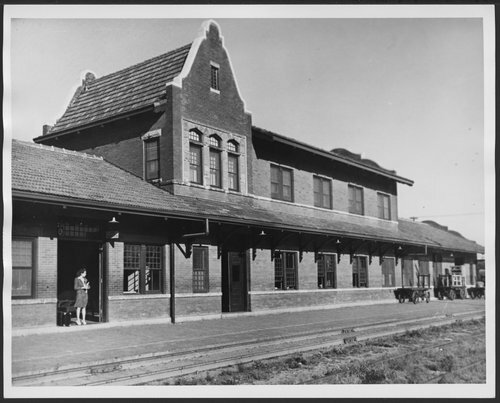 The black and white photograph shows the Atchison, Topeka & Santa Fe Railway Company depot in Gainesville, Texas. This two-story red brick structure was built around 1902 and housed a Fred Harvey House until 1931. Restoration on the building was completed in 2001 and today houses city offices and a museum.